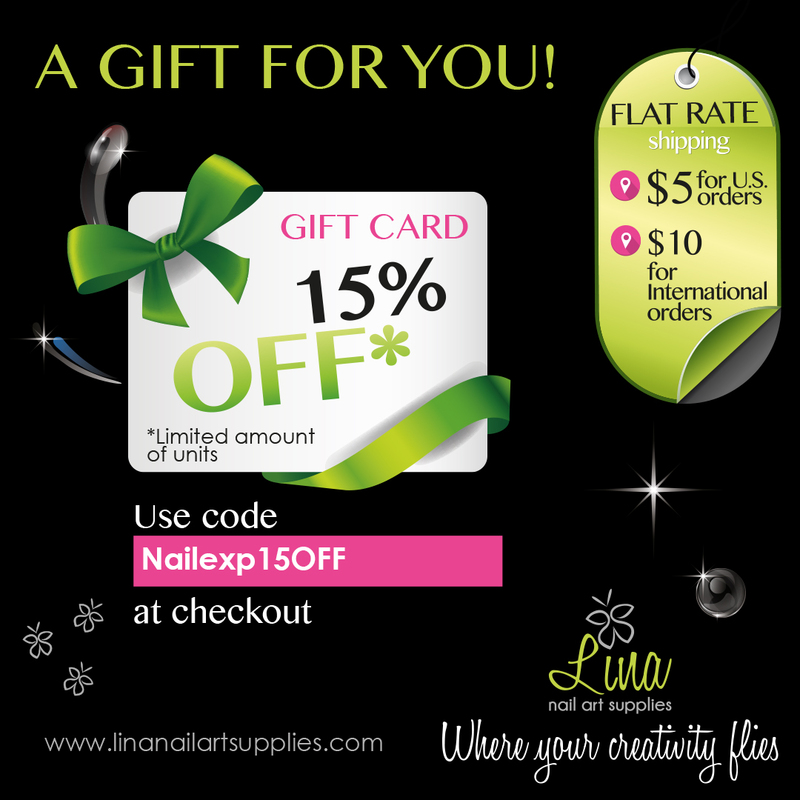 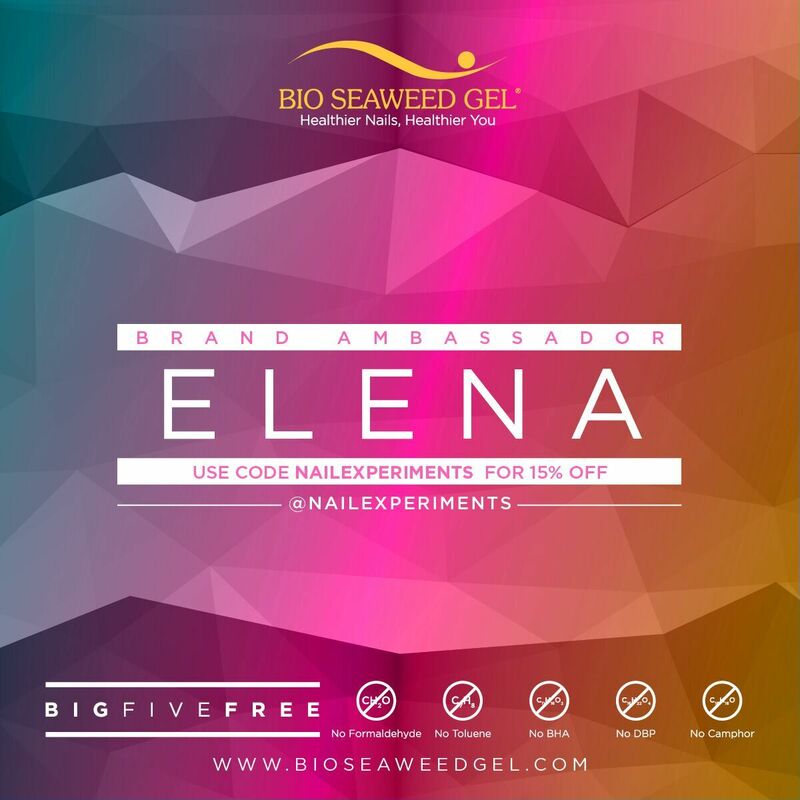 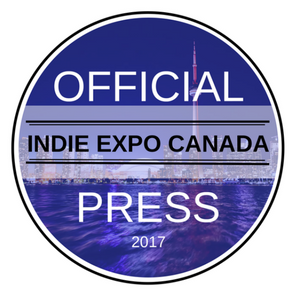 I posted on various Canadian nail related Facebook groups and Instagram to get some participants together for this collab. 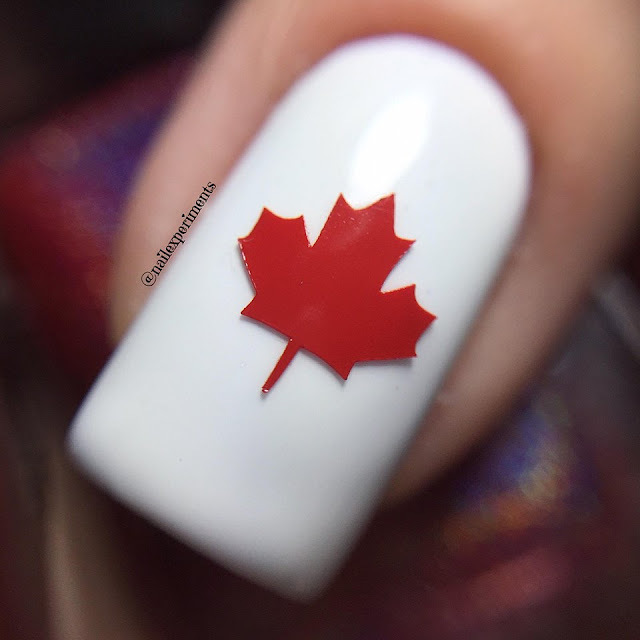 Despite the short time these ladies had in creating manicures (my fault for posting late), we came out with a fantastic turn out! 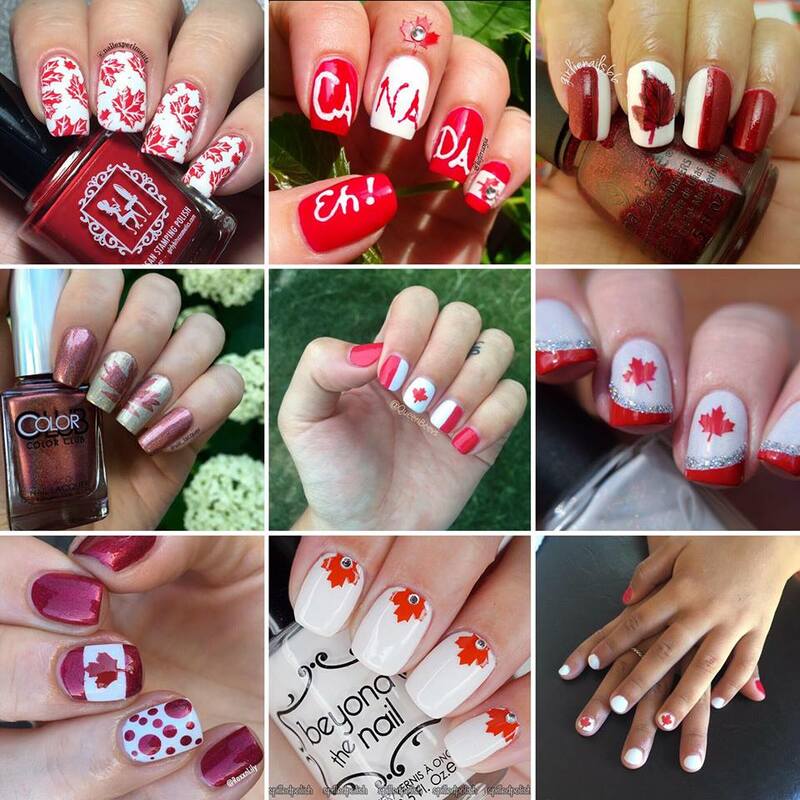 The idea was to create nail art with things that represent Canada, and was such a pleasure seeing everyones creative takes on that. 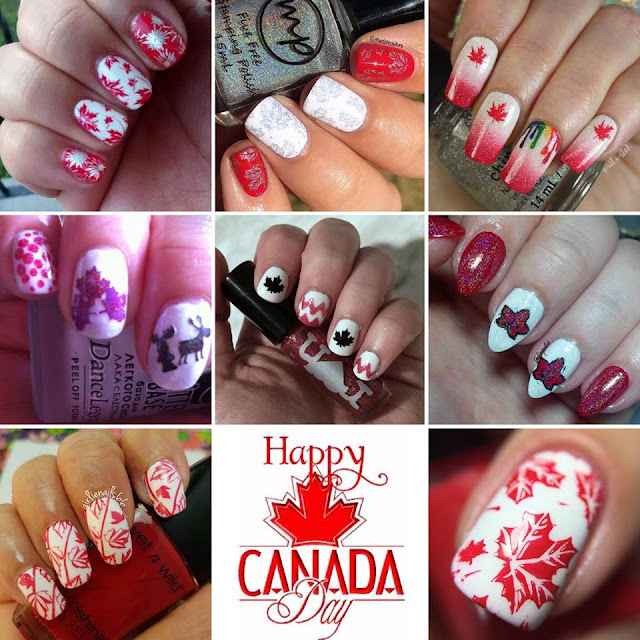 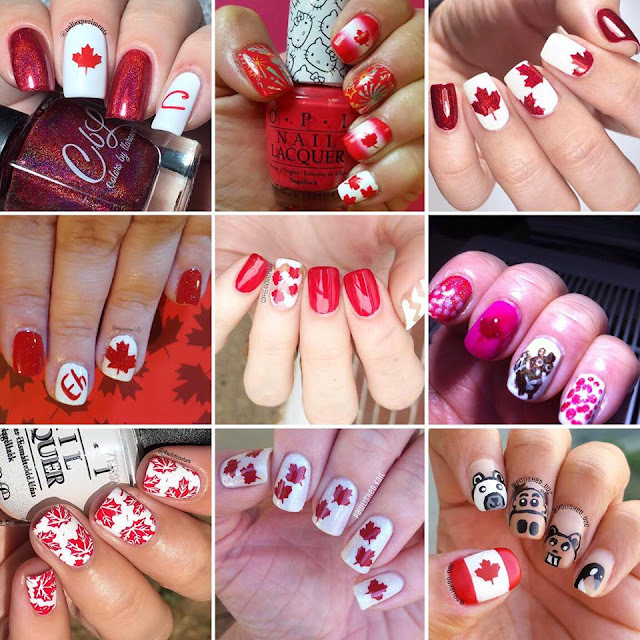 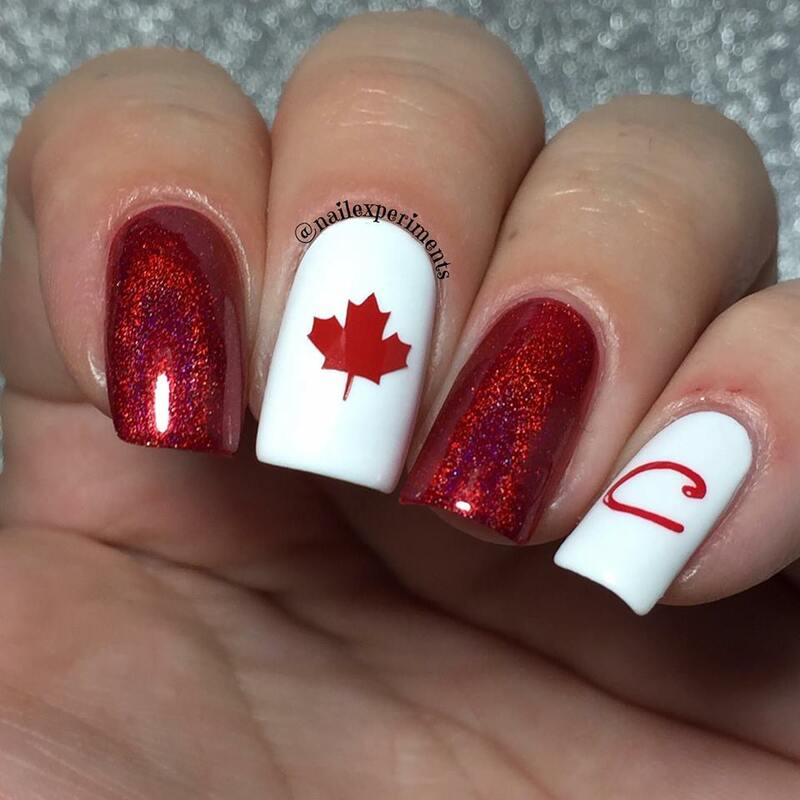 Thank's for all the lovely ladies who participated and celebrated Canada Day with pairing nail art! 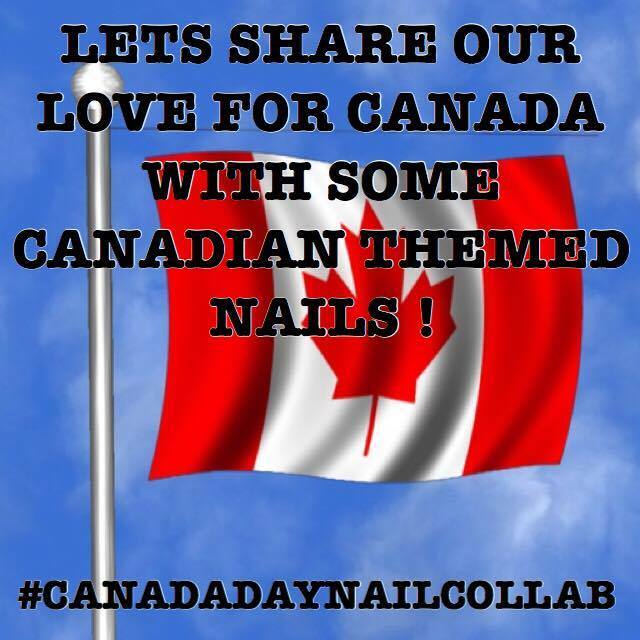 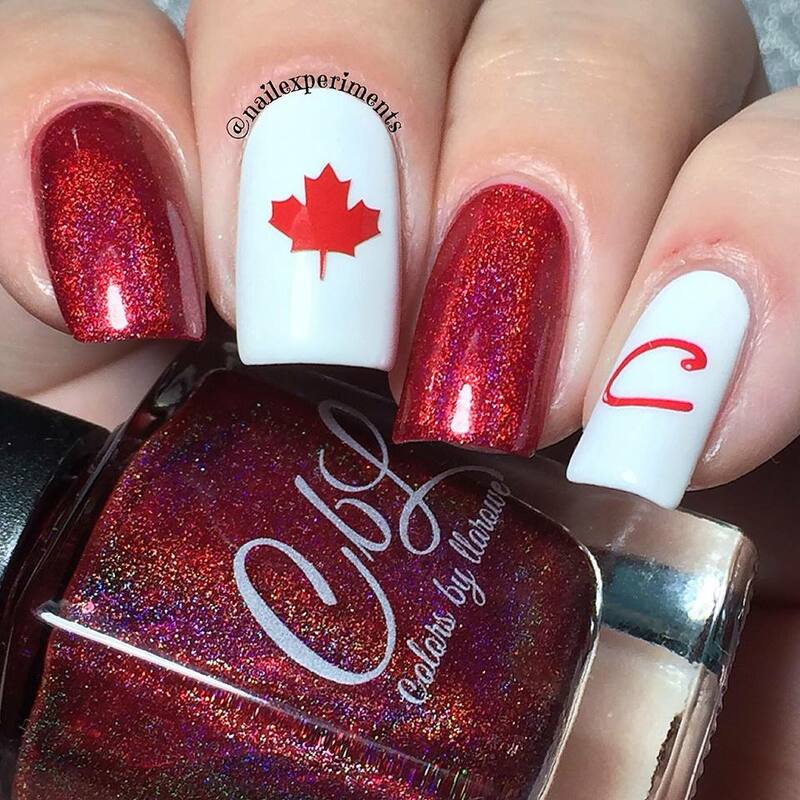 All details of the artists can be found tagged on the original post on my Instagram page and feel free to search hashtag #canadadaynailcollab ! 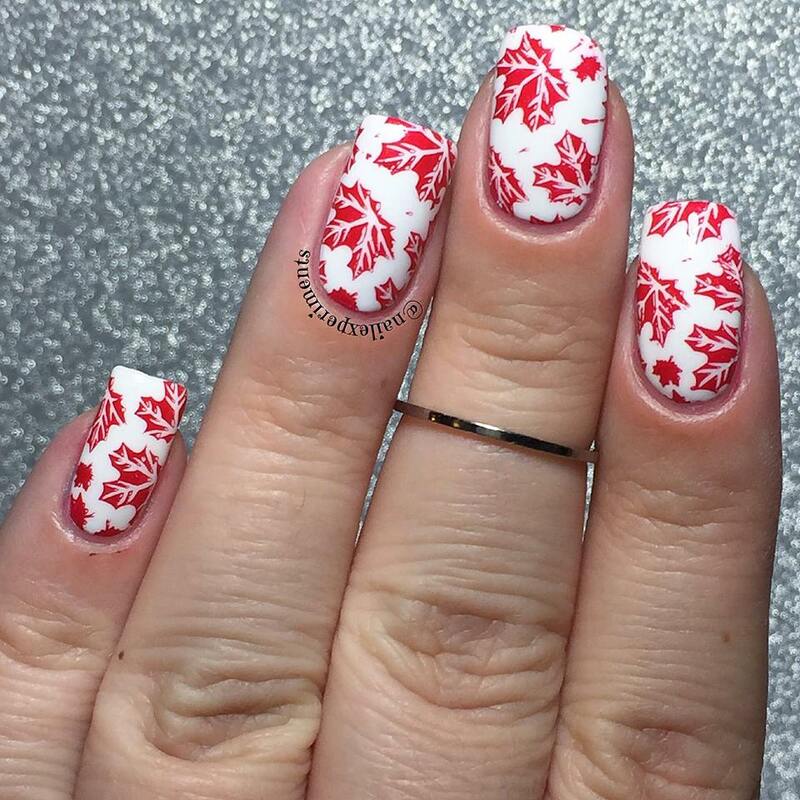 Essence in Wild White Ways on the middle/pinky finger and Pirates of Penzance by Colours by Llarowe on index and ring finger. 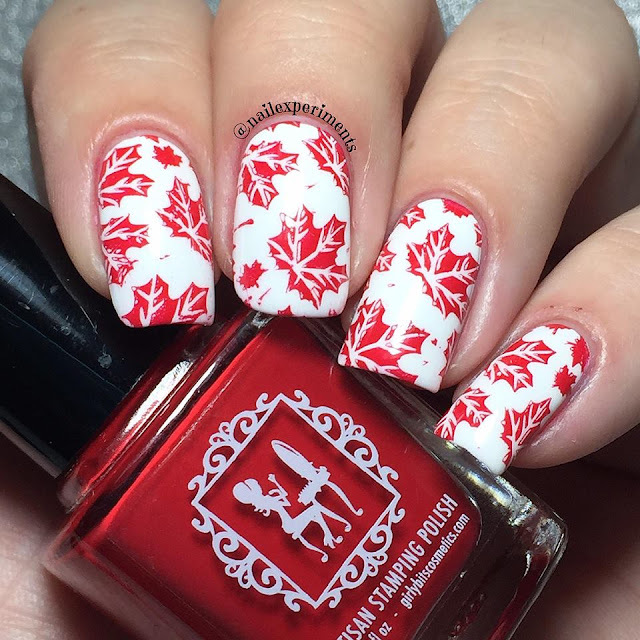 For the middle finger, I used a maple leaf decal from Eat Sleep Polish. For the pinky, I stamped using Girly Bits stamping polish in Fire Engine Red + Qgir-034 stamping plate and the Born Pretty Store clear jelly stamper. 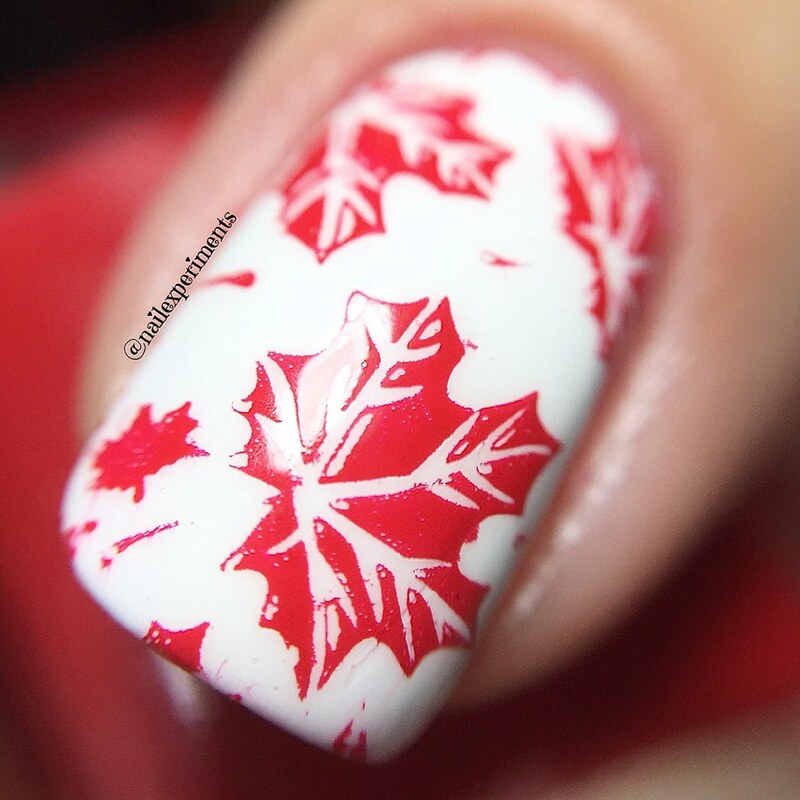 Essence in Wild White Ways as the base, stamped with Girly Bits stamping polish in Fire Engine Red, used Born Pretty Store stamping plate BPL-024 along with the clear jelly stamper.